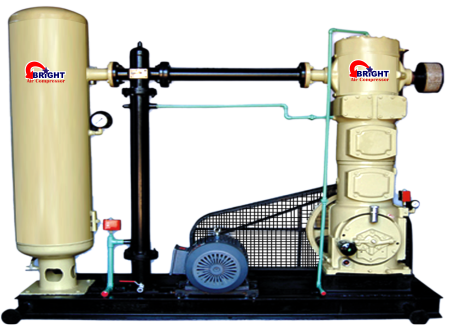 Bright Compressor sales Double acting, Single stage, Reciprocating Vertical Water cooled Air compressors (in Lubricated & Non-Lubricated version). These Air Compressors are ideal for sand blasting & other pneumatic application where huge quantity of air required at less pressure (Max. 100 PSIG).